Hey there, we’re Perfect Pave – Albany’s top asphalt paving company. In the last 27 years, our local team of contractors has resurfaced, paved, and sealed thousands of driveways, parking lots, and roads for home and businesses across the Capital Region. Our expert upstate paving contractors can handle any size project – residential or commercial – quickly and effectively with a strong eye to quality. Abundant 5 Star ratings on sites like Google and Yelp showcase why we’re the best provider in the area.I could go on about our fantastic crew of guys for hours, but instead – let’s chat about your situation. You’ve got a driveway, parking lot, or road that’s either residential or commercial. And something’s wrong with it. So, now you’ve got an asphalt paving project that needs to be done. Am I on point? ​The surface might have holes, cracks, or maybe it just degraded over time. Whether it needs to be sealed or resurfaced, you want asphalt paving services that deliver quality work at a reasonable price. A provider that’s trustworthy and fair, which can be challenging to find. ​You just want to be able to hire someone and then not worry about it, right? ​You work hard and your time is valuable, so you don’t want to waste it baby-sitting anyone. ​And whether it’s a driveway, parking lot, or road – it needs to be flawless. I’m talkin’ perfectly smooth, high quality asphalt or sealcoating laid to perfection. It has to survive changes in weather, freezing and thawing as the seasons change, constant sun exposure, and vehicles driving over it all the time without cracking and splitting. If so…and you want the premier residential and commercial asphalt paving contractors in all of Albany, New York…who are not only experts, but treat blacktop resurfacing like chess? Get the phone and call us now at (518) 223-9346. ​We’re excited to prove to you why we’re the best upstate paving & sealcoating service in Albany, NY. All we ask in return is that when you’re pleased with the quality of our service, you share our name if anyone else needs some work done. We’re happy to deliver the same excellent quality! ​Countless years of experience has given us plenty of time to perfect our craft, so we’re damn good at what we do. We’ve done sealcoating, resurfaced driveways, paved asphalt parking lots for malls and businesses all over the area, and we’ve done a lot of park paving too through Albany County. Spend a couple minutes reading through the most frequently asked questions to see if it answers anything you might be wondering. Short answer – anything involving paving or sealcoating. We remove topsoil containing clay, we ensure soil stabilization, we install subgrade, crushed aggregate and gravel bases, we measure and monitor the level of compaction and permeability of the surfaces, and well install fill-depth asphalt paving mixture to ensure water never gets in. Our pavement contracting services cover everything from resurfacing blacktop driveways to paving a parking lot to sealcoating a road. Why should we replace or repair our asphalt driveway? Prevent water from pooling in the garage or near the home’s foundation. Minimize the risk of falls and injuries from holes or cracks that may have formed. Improve the resale value and curb appeal of your home. Lessen the tire wear on your vehicles from repeated entry and exit over time. The price of an asphalt driveway considers the cost of raw materials, the size of the driveway, and the complexity of the project. Please give us a call for a free estimate. How long does an asphalt driveway last? The lifespan of an asphalt driveway is dependent on 3 main factors – the soil beneath it, the quality of installation, and the level of recurring maintenance. Other factors include local weather conditions, the freeze-thaw cycle, weight of the vehicles that drive or park on it, and the thickness of the asphalt. 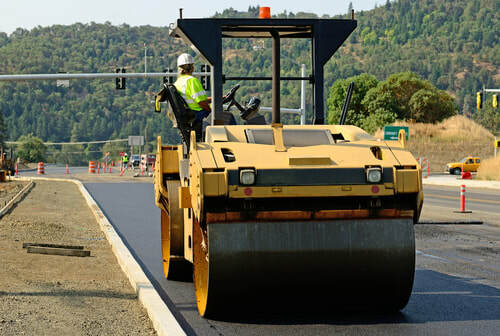 Asphalt overlay is a paving method of applying 1 – 2 inches of new asphalt on top of a degrading surface instead of removing the damaged surface first. Asphalt overlay can be a great way to save money because it requires less raw materials, but the ability to do it effectively is entirely dependent on the quality of the old surface. If the old asphalt surface is severely damaged, containing holes and ruts, it needs to be regraded and milled prior to application of the overlay. How long will an asphalt overlay last? 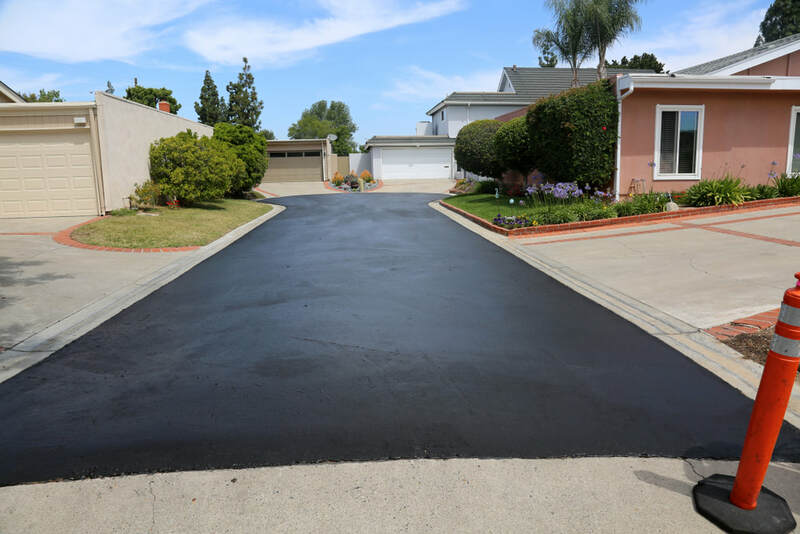 When a driveway or parking lot is resurfaced correctly, an asphalt overlay can extend its useful life by 8 – 15 years. As an alternative, new pavement will last up to 30 years with proper maintenance. Asphalt milling is the process used to remove top layer of an asphalt surface, typically 1 – 3 inches, to ensure that new asphalt bonds to it appropriately once it’s laid. We absolutely do! The thing that’s great about our work is that it’s done correctly the first time, which extends the life of the asphalt and saves you money over time. It’ll stand up better to constant use, variable weather patterns, an overbearing sun, and the free-thaw patterns were used to living in upstate New York. We’ll be happy to discuss our warranties and guarantees when we stop in for a free estimate. Contact us at (518) 223-9346, or feel free to fill out the quote form just above here. From the leading paving professionals in Albany, NY, thanks for checking us out. ​PS: Call us any day of the week. We can take care of commercial or residential paving jobs of any size. We’ve done everything from a small home blacktop driveway to large mall parking lots and local highways.